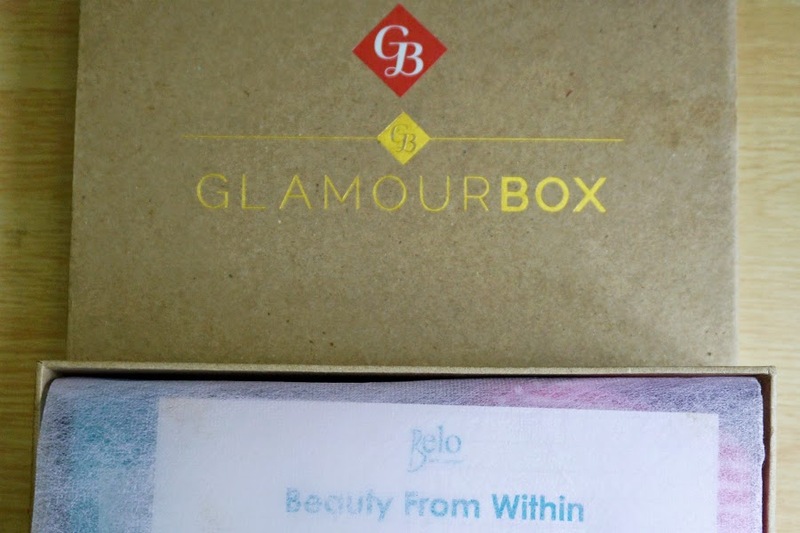 You already had a sneak of Glamourbox PH's September 2014 Special Edition Belo Nutraceuticals "Beauty From Within" beauty box a couple of days ago. 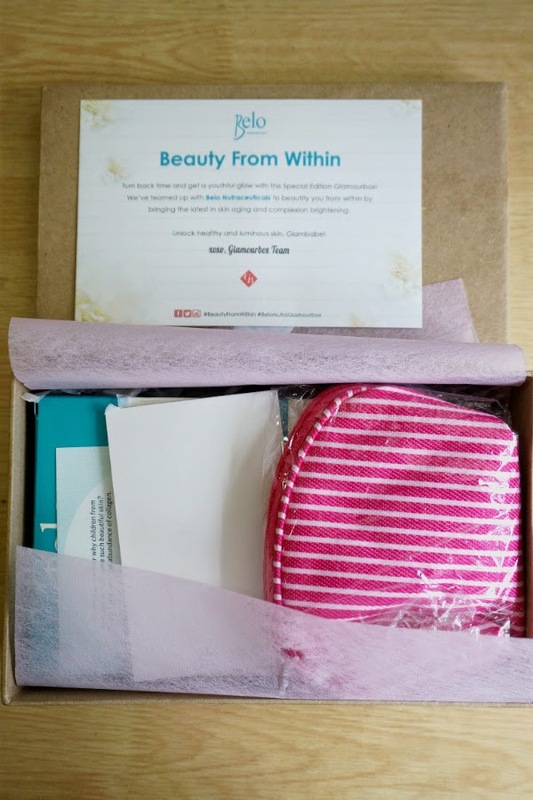 Now, I give full details for its contents and my initial reaction and review. 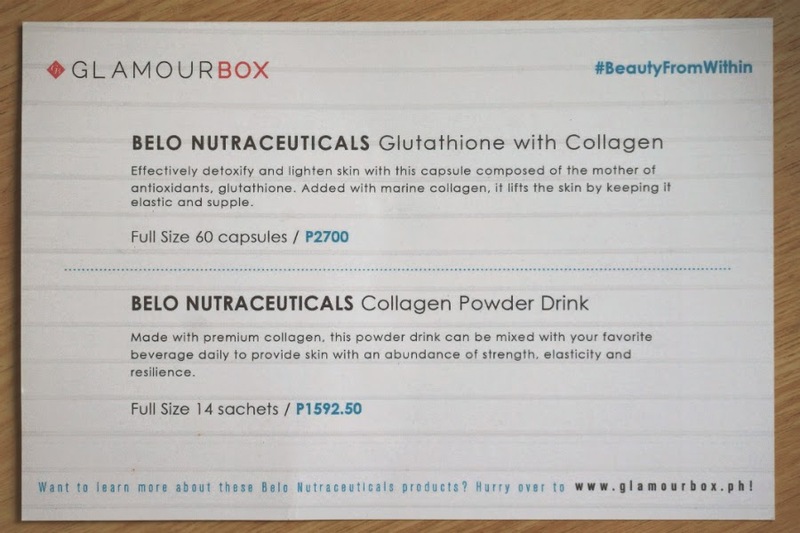 The box contains only two items from Belo Nutraceuticals: Glutathione with Collagen Capsules and Collagen Powder Drink. These two products are the latest in skin aging and complexion brightening. 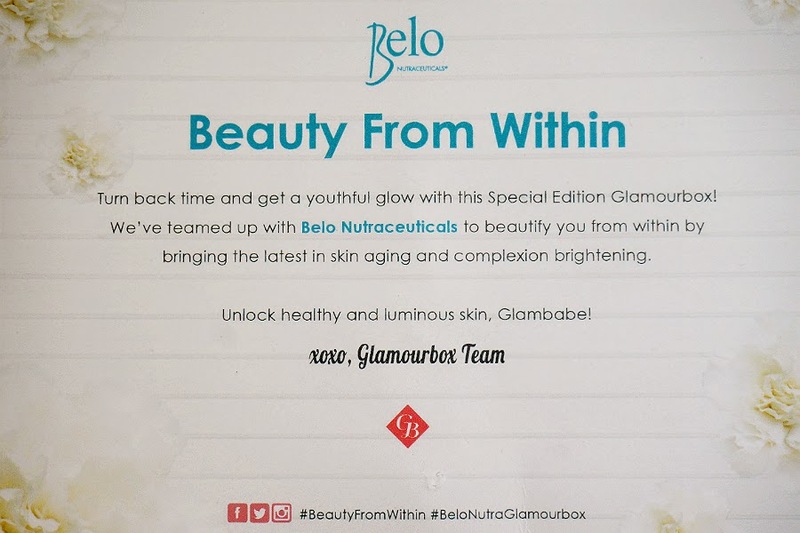 Glamourbox Special Edition Belo Nutraceuticals "Beauty From Within"
One product aims to reverse skin aging and promotes skin's brightness and luminosity with its unique formulation of marine collagen and CoEnzyme Q10 while the second product boosts our skin's collagen production to help maintain youthfulness, resilience, and elasticity with its superior moisturizing and hydrating properties. 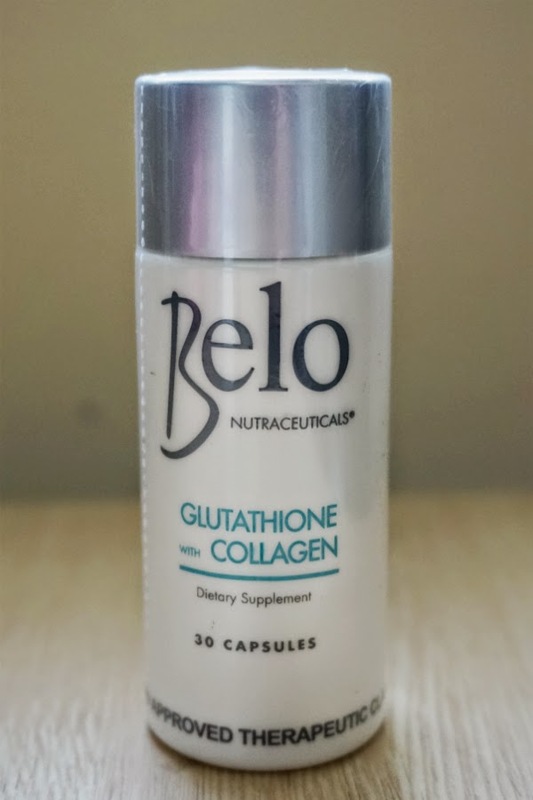 Effectively detoxify and lighten skin with this capsule composed of the mother of antioxidants, glutathione. Added with marine collagen, it lifts the skin by keeping it elastic and supple. I have already reviewed this product a few months back. I like this one because I feel that it's very effective in making my skin supple, blemish-free and less oily. The only downside was that this can be expensive at Php 1440 for 30 capsules which is only good for 15 days, following the directions of taking it two capsules a day. 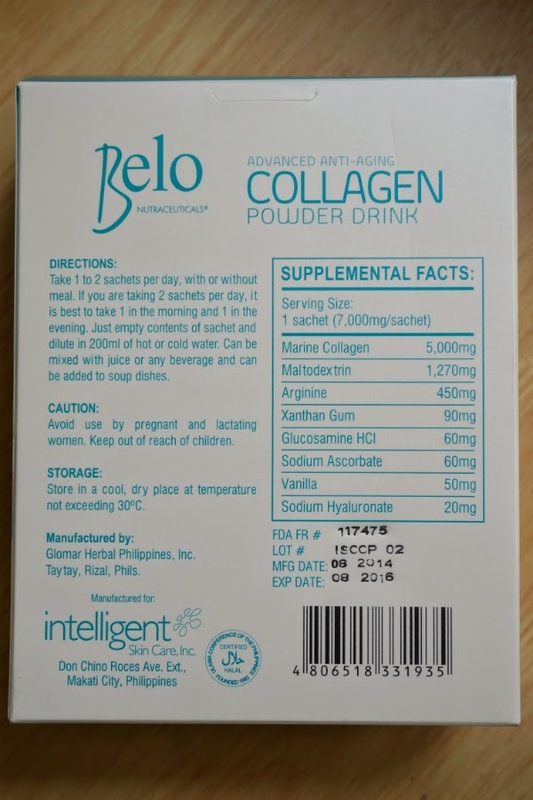 Made with 5000mg of premium collagen, this powder drink can be mixed with your favorite beverage daily to provide skin with an abundance of strength, elasticity and resilience. 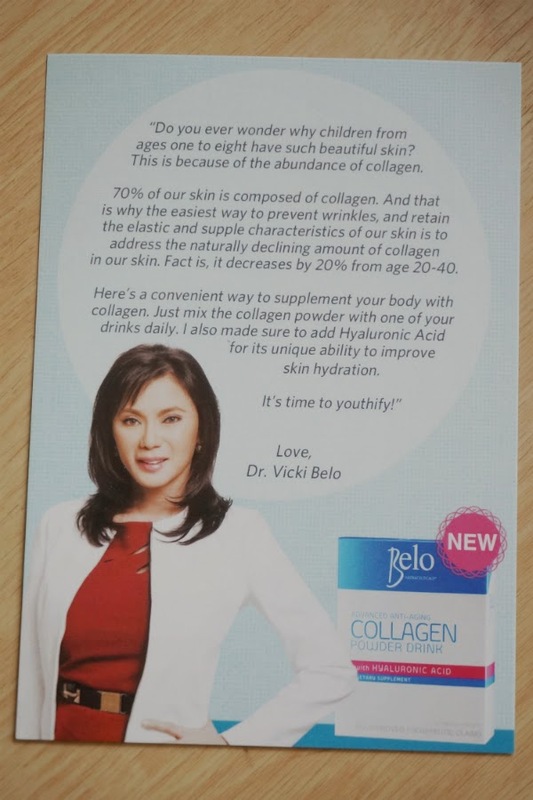 I'm not new to collagen powders as I already tried a can of Meiji a year ago. 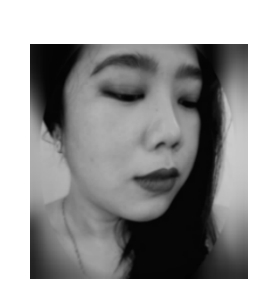 I stopped because while I noticed major improvements in my skin's texture, my face was also becoming puffy and more chubby. 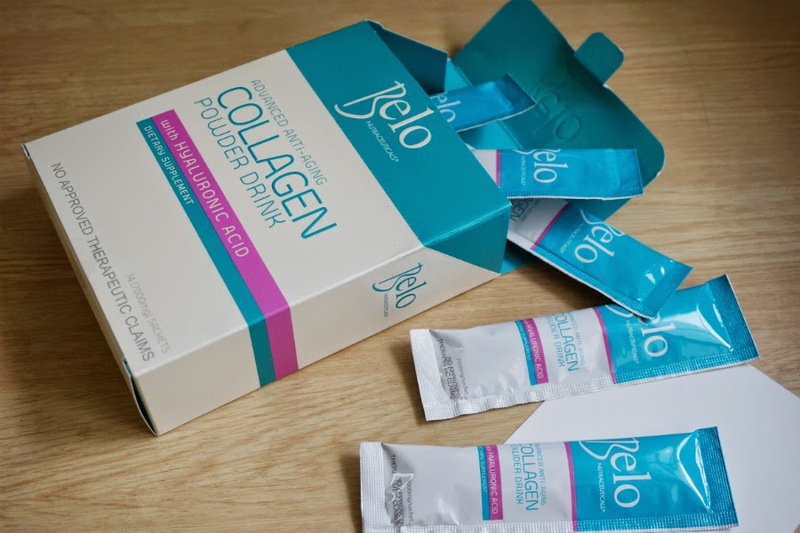 I've been meaning to go back trying collagen powder again and with this new product, I can. I plan to take this every other day to minimize any "rounding" effect on my face. 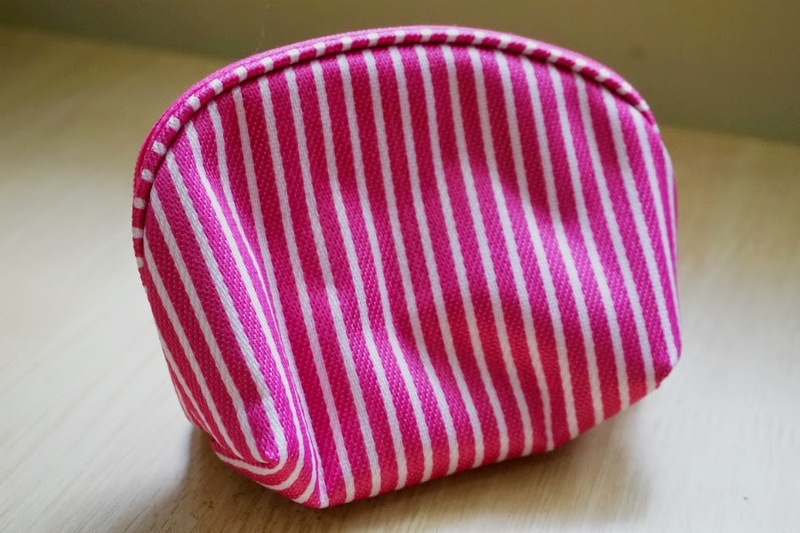 Perfect to stash your little knick knacks, lipsticks, powder and other trinkets. It's very cute and surprisingly well-made. 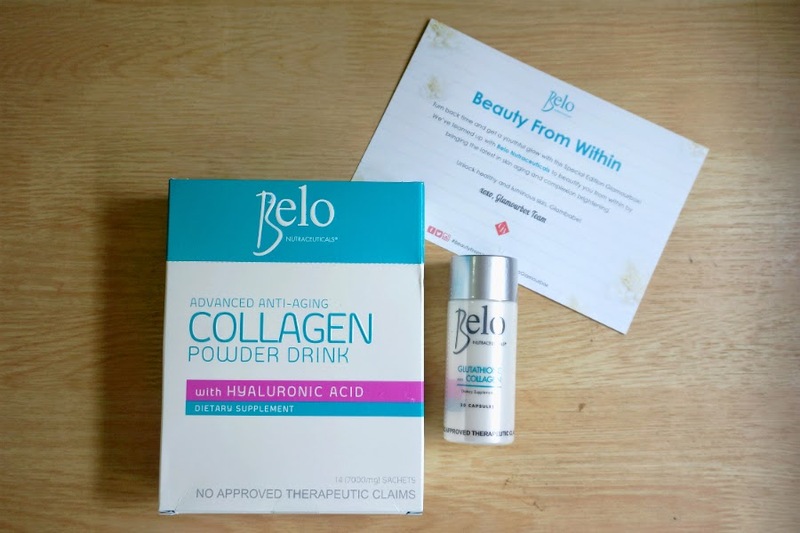 Special Edition Belo Nutraceuticals "Beauty From Within"